Compassionate Care from Top ENT Specialists. At our practice, your needs always come first. 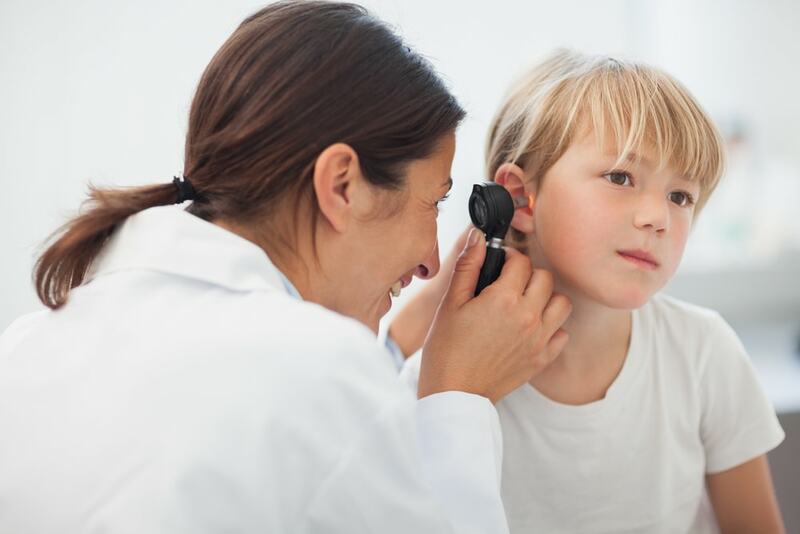 Peak ENT provides comprehensive treatment and surgical procedures for ear, nose and throat conditions by board-certified and fellowship-trained physicians, audiologists, speech therapists and medical aestheticians. We strive to make each patient’s visit as easy and comfortable as possible at all of our three offices, Broomfield, Golden and Brighton. Our practice is set apart by our patient-first approach. The moment you step through our doors, we will assess and treat your ENT-related conditions. Our Colorado ENT specialists will evaluate your needs and create a customized treatment plan to improve your quality of life. We offer compassionate care for adults and children experiencing ear, nose, throat, voice, hearing, facial plastic surgery, allergies, and sinus problems. Peak ENT and Voice Center brings only the top ENT providers in Colorado into our practice. We are a trusted leader in treating ENT disorders and offer comprehensive medical care and surgical services for your peace of mind. True to our name, our compassionate care will keep your ears, nose, and throat in peak condition. Turn to us today for a happy and healthier lifestyle. Our ENT doctors in Denver use the latest techniques and equipment for minimal discomfort and faster recovery. At our clinic, we treat patients with personalized, high-quality care. Our experienced medical professionals provide compassionate healthcare services to treat your symptoms and aid you toward a fast recovery. From treating simple conditions like ear wax impactions to facial plastic surgery, we serve the needs of our patients in Colorado. Our ENT doctors in Denver treat a full spectrum of ears, nose, and throat disorders, and conduct facial plastics and head and neck surgery, as well. As board-certified and fellowship-trained specialists, we have the experience to help you regain your health. Access Peak ENT patient forms here. To speed up your first visit, please fill out these forms before your appointment. Our physicians and clinic providers focus on bringing the highest quality service to our practice. We look forward to working with you. Dr. Vidas was excellent. He answered all of my questions, and made me feel confident in his diagnosis…. Dr. King and Brittany were wonderful. They took lots of time and I never felt rushed. They helped me navigate a tricky insurance issue as well. I felt very well taken care of and in good hands. Dr. Weng was fantastic. She was very informative and took the time to help me understand what was going to happen. I spent most of my life self conscious about my appearance. My only regret now is that I wish I had done this sooner. Dr. Weng is a perfectionist. I can tell be the outcome of my surgery. Everyone was friendly and made the experience easy and comfortable. Thank you. Book your appointment with Peak ENT today! Our team will contact you as soon as possible.